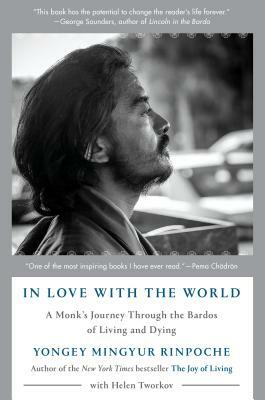 The world-renowned Buddhist monk shares the intimate account of his near-death experience and the life-changing wisdom he gained from it. TICKET PACKAGES → Ticket Package 1: $29.32 + fees: Admission for one (1) person and one (1) copy of In Love with the World. → Ticket Package 2: $33.32 + fees: Admission for two (2) people and one (1) copy of In Love with the World. CHECK-IN at the front information counter in Changing Hands Phoenix beginning at 6:30pm. SEATING opens at 6:30pm and is determined by letter group printed on signing line voucher handed out at check-in. PICK UP YOUR BOOK at Changing Hands Phoenix on event day beginning at 6:30pm. SIGNING LINE forms after the event by letter group printed on signing line vouchers handed out at check-in. CAN'T MAKE IT? Call 602.274.0067 to order a signed copy of In Love with the World and we'll have it signed and reserved for you. We also ship anywhere in the US and to most international locations!